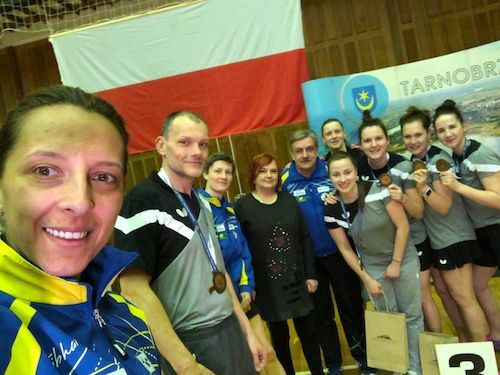 Actual ECLW runner-up and 2018/19 ECLW finalist (May 3-11) KTS Enea Siarka Tarnobrzeg booked its place in the final of the National Championships of Poland, as it beat twice GLKS Scania Nadarzyn. Tarnobrzeg won second semi-final clash in straight games, in spite of playing without two strong defenders, HAN Ying and LI Qian. All three encounters took three sets each: Viktoria PAVLOVICH vs – Paulina KRZYSEK, Elizabeta SAMARA vs. Klaudia KUSINSKA and Kinga STEFANSKA vs. – Katarzyna SLIFIRZCYK. Tonight, April 6th, Tarnobrzeg will find out the name of its opponent in the 2018/19 final. Polish champion, two-time ECLW runner-up, are going to play for ECLW crown next month against reigning champion Dr. CASL from Croatia.